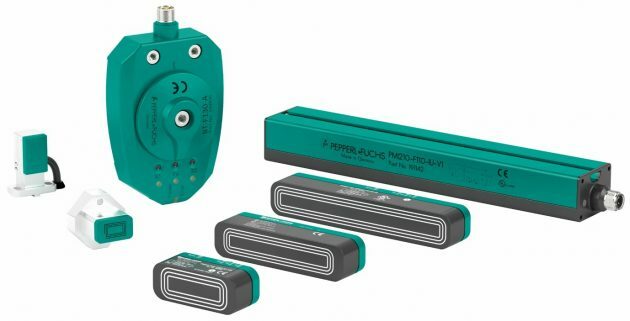 PMI inductive positioning technology combines the ruggedness of an inductive proximity sensor with the precision of a position measurement and angular positioning system. The patented technology ensures highly accurate measurements, and the ability to use simple steel actuators is designed to maximize the flexibility of your application. The new PMI F90 inductive positioning system works with a unique, patented multi-coil system. The absolute position of the actuator is precisely detected from the measuring signals of a single coil. In addition to sending the analog position signal, switch points can also be defined. The sensor can detect two actuators as well as the distance between them, meaning that dynamic positioning tasks can be completed with the smallest amount of measuring technology. The device’s IO-Link interface enables continuous data flow, making it ideal for Industry 4.0 applications. Event logs, error messages, signal quality data, device status, and operating hours can all be read directly via an IO-Link master. Certified versions of the PMI product family allow the system to be used in ATEX Zone 2/22 (3G nA, 3D tc) hazardous locations. The compact design allows these sensors to be installed in even the tightest of spaces, while the rugged metal housing protects them from external influences. IP67 protection and a temperature rating of -25 °C to +85 °C ensure reliable positioning in outdoor environments. The advantages of the inductive measuring principle apply to all devices: noncontact, low-wear and maintenance-free, dirt-resistant, and resistant to interference. All steel components or objects can generally be used as actuators since the inductive system is not reliant on a magnetic actuator.